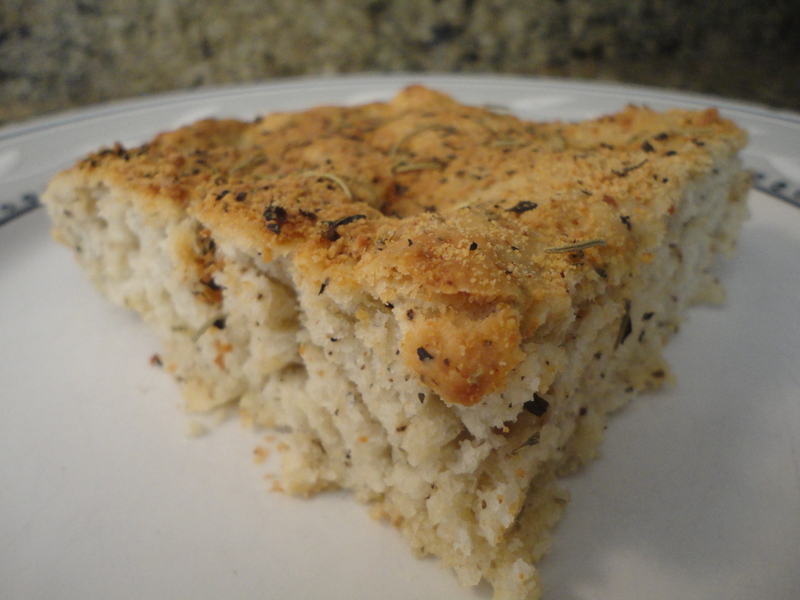 So here’s the recipe for my Parmesan & Herb Focaccia bread. 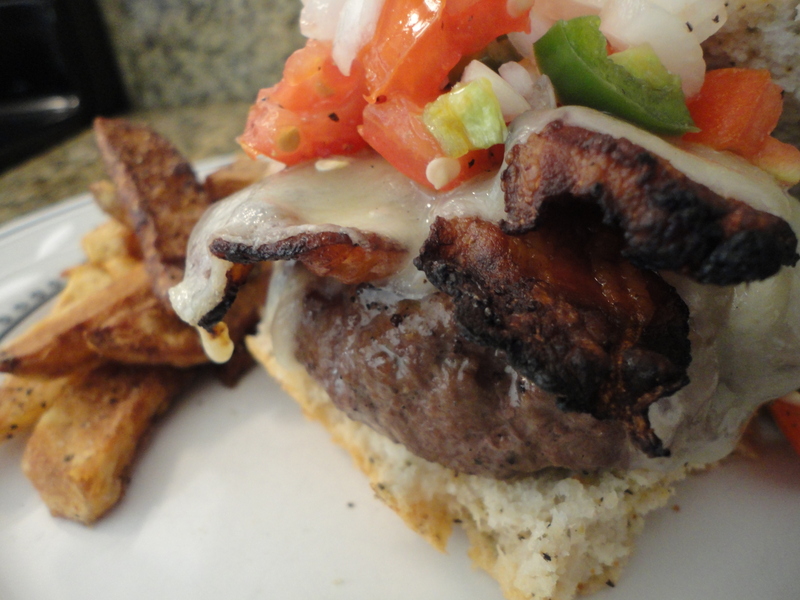 It’s great by itself, as a side, for sandwiches, or even burgers! Enjoy. Grease a 9″x13″ baking dish. Combine your warm water, yeast and granulated sugar and set aside in a warm place to allow the yeast to activate. I use my stovetop which gets warm to the touch when the oven is on. Allow the yeast to form a significant bloom, approximately 10-15 minutes. In a mixing bowl combine the dry ingredients for the dough, including the grated parmesan. Add the water & yeast mixture and mix on low speed until the dough starts to form, then increase to medium. Slowly add the olive oil. Once combined continue to mix at medium for 3-4 minutes, the dough should be slightly elastic. Turn the dough out into the greased 9″x13″ dish, and using your hands gently spread the dough to fill the bottom of the dish. Cover with plastic wrap and rest in a warm, draft free, place until the dough rises and doubles in size, approximately one hour. Just like with the yeast, I use my stovetop for the dough to rise. If you choose to do this as well I recommend placing a dish towel underneath the baking dish, just in case the stove gets too warm. You don’t want to start cooking the bottom of the dough! Once the dough has risen gently poke it at 2″ intervals with your finger. Brush it with the olive oil, then sprinkle the remaining topping ingredients over the dough. Bake until golden brown, typically 30-35 minutes. Once it’s done wait at least 5 minutes before cutting. Tags: focaccia, herb focaccia, homemade bread, italian bread, parmesan focaccia, perfect pairings, perfect pairings at home. Bookmark the permalink.